Bodyphon provides a comfortable sound field that allows you to talk on the phone stress-free by mitigating the surrounding noise. This means that the person you are calling will be to hear you clearly too.Easy to hear ,Because less reflected sounds. It means to talk small voice. 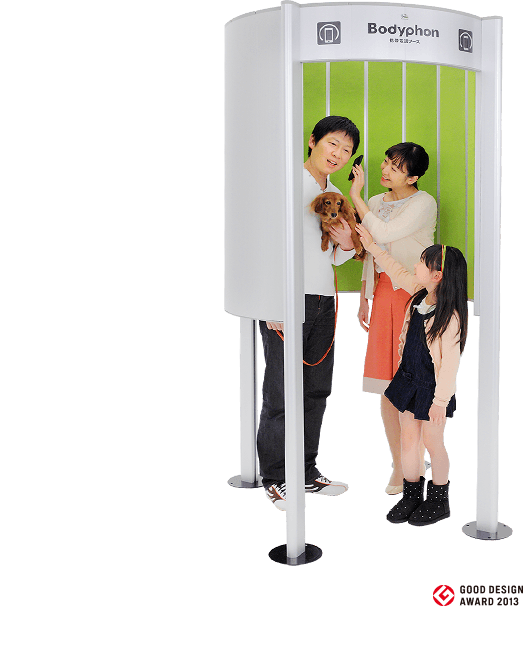 It is also effective in reducing the sound that escapes outside, so it serves to show consideration for those around you. 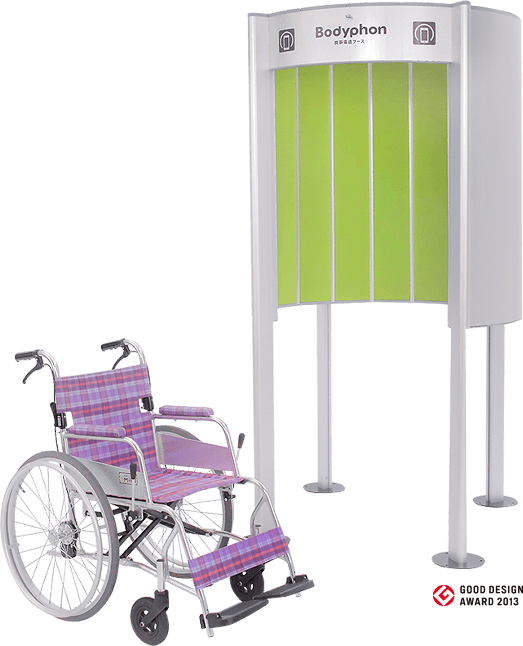 By placing them in exhibition halls, stations, airports, shopping malls, and other busy areas, as well as hotel or hospital lobbies, offices, and various public facilities, they have the potential to improve the social responsibility of both the users and society as a whole as well. How to use By Youtube! The Bodyphon provides you “clearer sound” and “ suppressed ambient noise”.By these two effects, it can be utilized in both the noisy location and location where required to silence.The Bodyphon helps you to make a call or operate a terminal device in crowded and noisy environment.We expect that our new product will help to improve our recent mobile-phone usage manner in public place. How the Bodyphon will be use ?It depends on your new idea.For example, by installing set of the compact speakers, you can enjoy a remarkable realistic sound such as in a movie theater. You can use it as a TV conference systemwith a small number of people.Or, you can have a communication stronghold in fatal-noisy environment such as factories. If installing a tablet and digital signage terminal to Bodyhon, it will become information booth.In the future, by adding a WiFi and a base station, it will be the user's private internet booths. You can expect a variety of leverage scene by further combination with the app. For example, a network spread around the world, when fused with biometric authentication, even future can communicate with anyone without the mobile! 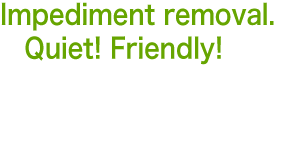 ※Effect is an image.Effect on the installation environment may be different. 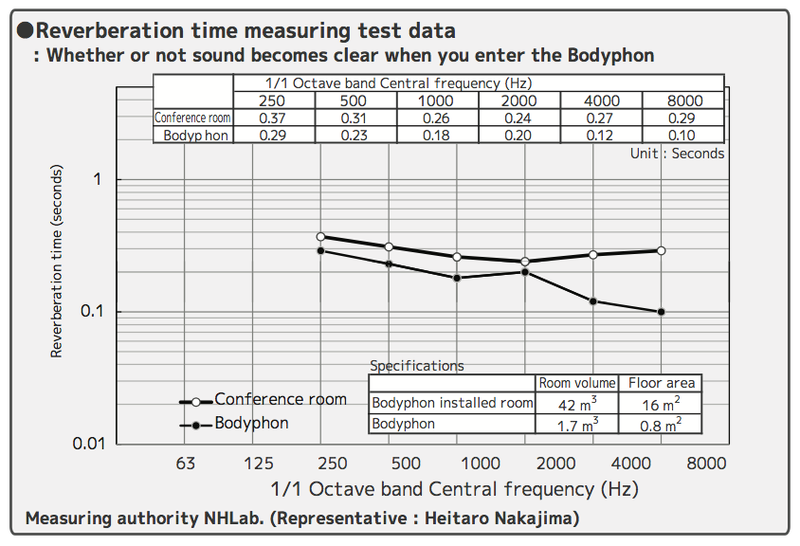 ※Equipment was set up so that the sound pressure at the position of the microphone without Bodyphon was 90dBA (measured with a sound level meter). This level simulates the "inside of a noisy factory". ※With the analytical software used on this occasion, the maximum value that it could digitalize analog voice signals at was set to 0dBFS (the maximum amount of information that can be processed on a computer). ※Because this is a simplified measuring test, measuring has not been carried out on calibrated equipment. ※Please note that there may actually be individual variations in the way sounds are heard, and that depending on the environment in which Bodyphon is used, the way sounds are interpreted may vary. ●More than being an open space, it can even be used with peace of mind by parents with children nearby, and women. 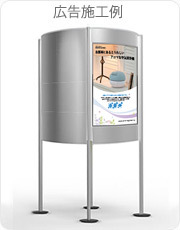 ●Attaching a tablet, LCD panel, or digital signage to the housing, allows it to be used as an information booth. ●The inner fabric and ceiling material is flame-resistant. ※Cleared by the fire department for indoor use. The harmony of the opened booth structure and function of the sound absorbing material,You can enjoy the sound of realism even in fragile sound source. Original sound will not be heard well because in a normal room reach voice that is irregularly reflected by the wall, but it is possible to suppress the diffuse reflection by absorbing sound in this booth, you will be able to deliver the original sound. 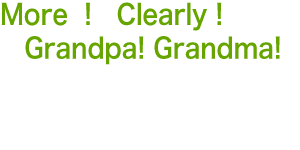 Even if you were hard to hear the sound by draft noise until now, is audible structure the "clear sound" that outline. Tours(Require reservation） .Sendai＝University、Saitama＝Library.Tokyo、Fukuoka＝Office. Please choice!